I learned from a recent "Malware Must Die" post about a Linux malware sample that is associated with DNS amplification attacks. As mentioned in the MMD post, several researchers have posted on this, or similar malware. Since I'm particularly interested in Linux malware, especially if it has a DDoS component, I thought I'd also take a look. I was able to get the malware to execute on my Linux sandbox and connect to the C&C. While I've yet to see any DDoS related activity, I did pcap the C2 comms and snap an image for Volatility analysis. Links to the pcap and memory image can be found at the bottom of this post. Referencing the supplied pcap, the compromised host connected to the C2 at 18:46 EST. 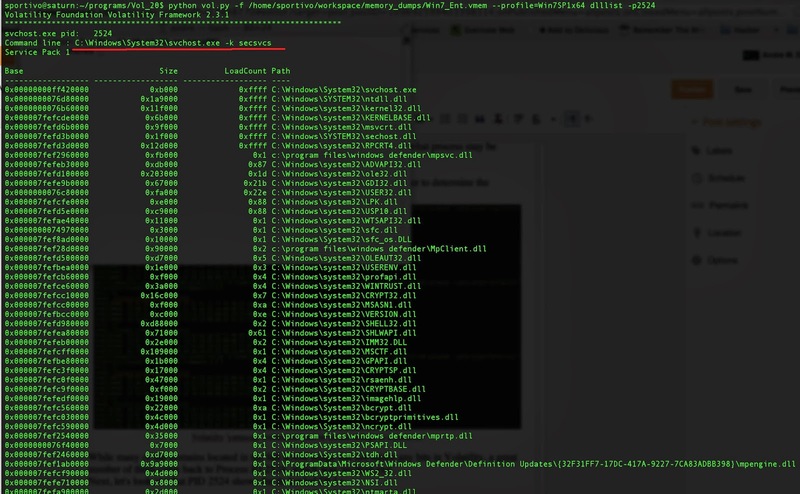 Upon connection to the C2, the compromised host sends information about the current Linux kernel, in this case, "Linux 2.6.32-33-generic-pae"
It's interesting to note that the bot's C2 communications is via a persistent connection. 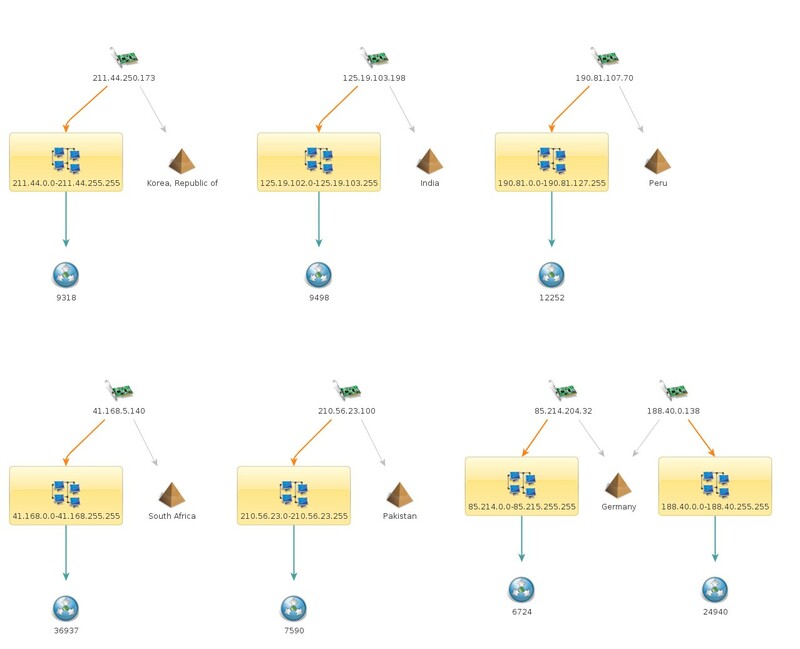 Unlike typical HTTP bot check-in traffic, this bot maintains a connection to the remote host on port 59870. Since this is all one huge session, if you attempt "Follow TCP stream" in Wireshark, it will take a bit of time to present the output. 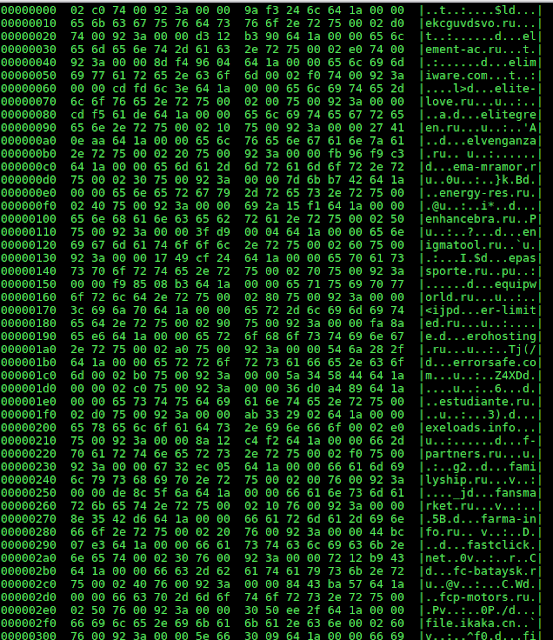 The C2 then sends 4 bytes, "0x04 0x00 0x00 0x00" upon which the bot sends back 27 bytes of all 0x00. The bot's replies again replies with a 27 byte sequence, however decimal offset 19 now has a value that will vary between 0 and 2. The 'disknyp' process started at 23:45 UTC with PID 1241. Ran with user privs and no child processes were noted. 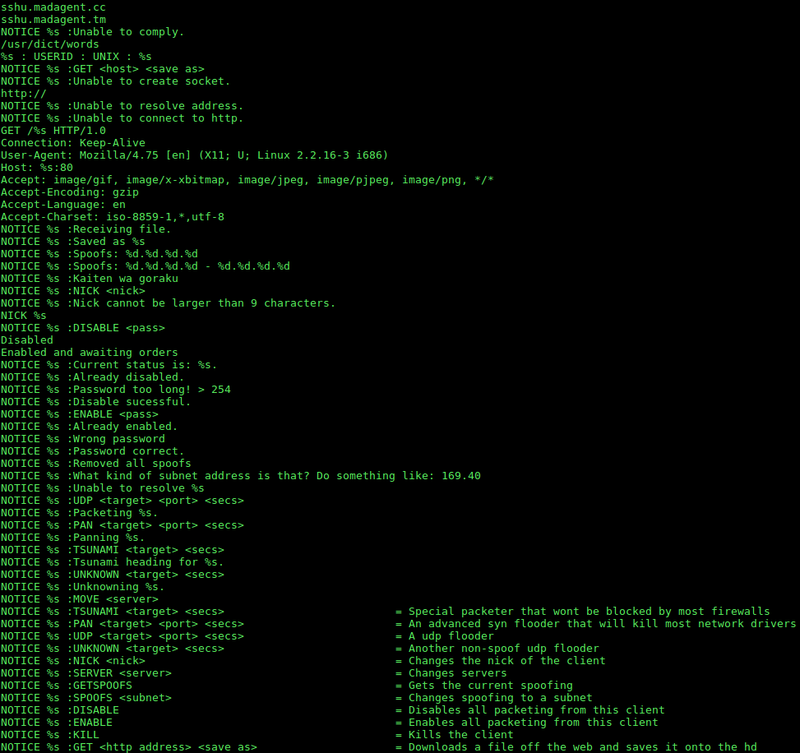 Note that /tmp/disknyp is the path where 'disknyp' was originally executed. Dumping the two segments at '/usr/tmp' produces two files, 'task.1241.0x8048000.vma' and 'task.1241.0x8168000.vma'. Let's use the 'yarascan' plugin to see if there are any other references to 'fake.cfg' in this image. We see that the string 'fake.cfg' is only found in PID 1241, 'disknyp'. 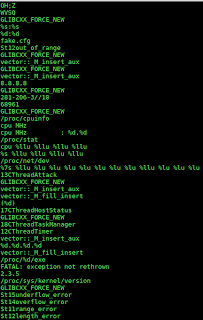 Again using the 'linux_find_file' plugin, we can dump the contents of 'fake.cfg' located at inode 0xed9dc088. This appears to be some Proof of Concept or "testing" malware. There are several aspects to this sample that make me wonder if it was just put out there to see how quickly it would be detected and analyzed. 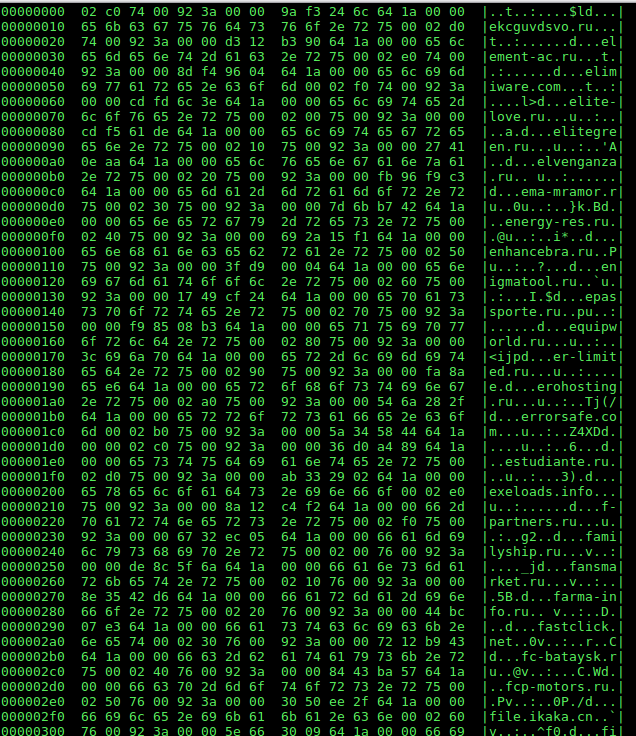 Analysis of the original file as downloaded from hxxp://198.2. [.] 192.204:22/disknyp that it is statically linked, not stripped. The C2 communications is somewhat noisy. Maintaining a persistent connection with checkins every few seconds is not very stealthy. No attempt to hide the process. In hours of running this, I didn't see any child processes or variance in the process on the local host. 'fake.cfg' is created in the malware's working directory. 'fake.cfg' really? As I mentioned earlier in the post, I have yet to see any DoS related traffic from this sample. I'm also not aware of DoS activity being seen by other researchers. If anyone has learned otherwise, I'd love to hear from you! Life's been pretty busy this past year. In December 2012, I started at GWU on their security team, and in April of 2013, my father passed after a long and difficult illness. So even though I've continued my studies in forensics, threats, and malware, I haven't written anything in quite some time. I'm looking forward to posting again here, and at DeepEnd Research. 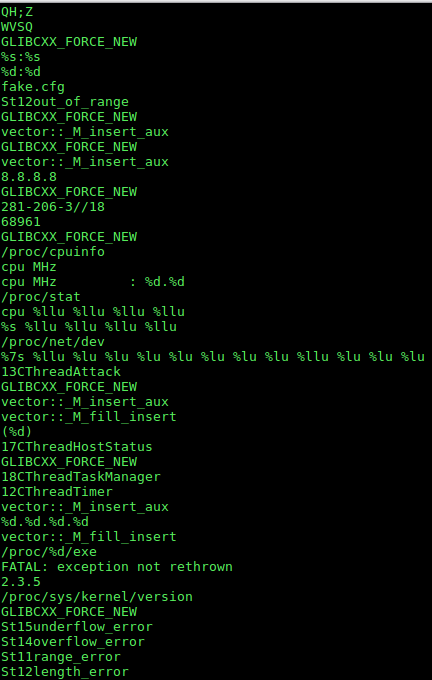 This post is more along the lines of "tool preparation" as it involves making some tweaks to your analysis system, especially if conducting memory forensics. A few months ago, I was doing some malware analysis on a Windows 7 memory image. I noticed a bunch of odd artifacts in the RAM image pertaining to some questionable domain names. The domain names really didn't relate to the malware under analysis, so I was curious as to what was going on. I had no AntiVirus or Microsoft's Malicious Software Removal Toolkit installed. I had thought that I might have been using a non-sterile VM for analysis, so I tried reverting and even reinstalling Windows 7. I noticed that an original installation of Windows 7 did not exhibit these artifacts, but after a full Windows update, they appeared. I asked around on a few mailing lists, but most of the responses encouraged me to check for either a tainted VM, or some sort of Security software that I had neglected to consider. That in fact, turned out to be exactly the case. So what was it that I was seeing? Since posting the domain list to the blog page is triggering many viewer's AntiVirus, I'll add download links for the text files. Volatilty 'yarascan' command used to locate strings in a process. While many of the domains located in the full RAM image did not return any hits in Volatility, a great number of them came back to Process ID 2524, which was 'svchost.exe'. Note that the Command line for PID 2524 was "C:\Windows\System32\svchost.exe -k secsvcs"
which is Windows Defender. In the loaded DLL files, you can see references to Windows Defender as well. In 2006, Microsoft included Windows Defender as a first line defense against malware, originally as anti-spyware. It was later superceded by "Microsoft Security Essentials" which upon installation, will disable "Windows Defender". You can see by this quick analysis that Windows Defender will load a large number of domains into RAM. It's generally good practice to minimize extraneous artifacts in a sandbox image. Since Windows Defender is enabled by default in Windows 7, don't forget to disable it via the Services applet before snapshotting your baseline VM. As I mentioned earlier, there were also many odd domains seen in the full RAM image, that were not associated with a process via the Volatility yarascan. I've not yet accounted for this, so if anyone has any clues or additional analysis, I'd be very happy to hear of it. I had read previous analysis reports about Cridex from various sites as M86 Security and Kahu Security. At the time, I filed this under "another banking trojan" to track, and moved on to to other things. However Cridex once again piqued my interest when I saw an excellent analysis by Kimberly at StopMalvertising. I took particular attention to her listing of the Cridex C&C servers she observed, as several of these IP blocks were familiar to me. More on this later. Having obtained the same Cridex sample analyzed by Kimberly, I was interested to see how Volatility could be used to analyze it. This Cridex sample had MD5 hash, 734aadd62d0662256a65510271d40048. I executed the sample and dumped the memory for analysis. A copy of this memory dump is linked at the bottom of this post. 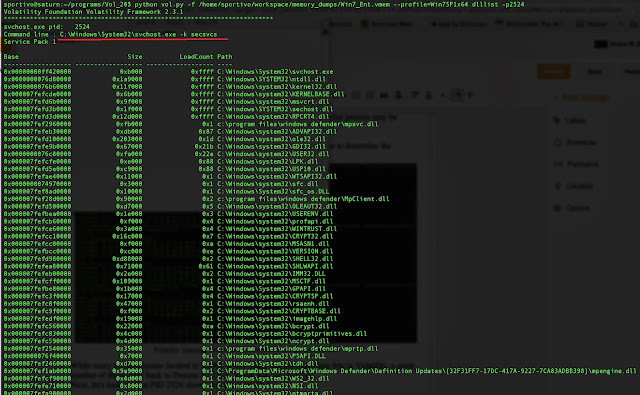 Using the Volatility 'plist' command, we can see a list of the running processes. However it's instructive to use this in conjunction with the 'psscan' command in order to see those processes that have terminated, are unlinked, or hidden. In this case, no discrepancies between the two commands jump out at me, but I do notice a couple of things. First, I see a process, reader_sl.exe, PID1640 start exactly at the same time as its parent process, explorer.exe, PID1484. I see that the parent process ID for explorer.exe is 1464, which is not listed in either 'pslist' or 'psscan'. reader_sl.exe is a supposedly a safe process, associated with Adobe Speed Launcher, but the launch chain for this seems odd, so I'll keep note of this for now. Next, I see a second wuauclt.exe process start about 15 seconds after the first. This isn't a major flag, but just something to note. The next useful Volatility command that I use for malware analysis is the 'connections' and the 'connscan' commands. Again, running both of these will allow you to see variances, as 'connscan' will show artifacts from previous connections. Next, running 'sockets' and 'sockscan' will show any listening sockets that may have been initiated by a running process. As in 'conscan', 'sockscan' will show any detected artifacts from previous sockets. In this case, we see that PID 1484, explorer.exe, opened a listening socket on port 1038 approx. 2 minutes after PID 1484 was created. In this output, we see that the explorer.exe, PID1484 and reader_sl.exe, PID1640 processes have a PE section located at 0x1460000 and 0x3d0000 respectively. 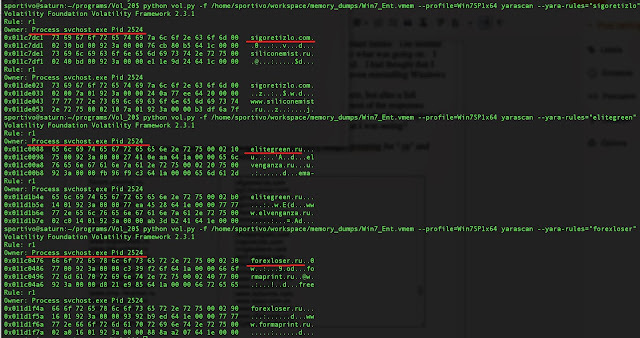 By using the "-D" switch, 'malfind' can dump those identified segments to a dump directory for further analysis. We now enumerate the mutant/mutex objects for the two processes under review. Note that I used the Volatility 'handles' command, with a subtype selection of "Mutant" in order to specifically select the mutant/mutexes associated with PID 1484 and 1640. The 'mutantscan' command will give additional information such as its signaled state, its client ID, and which thread acquired the mutant. Next, we'll dump the VAD segments of each of these processes, run 'strings', and look for anything interesting. Note the advantage of dumping the VAD segments as opposed to the entire process memory is that you can see which VAD node section the 'strings' hit was located. In this section, we find a list of banks and financial institutions. Here is the contents of the Cridex configuration specifically containing references to financial institutions. 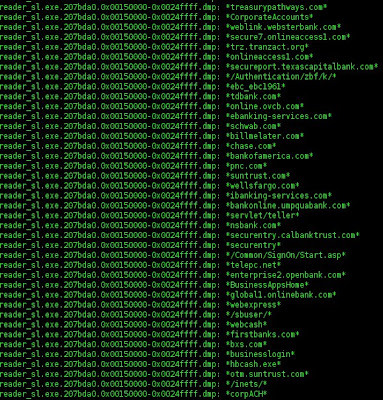 In addition to the list above, examining these VAD dumps also shows HTML code referencing or representing web pages of various financial organizations. 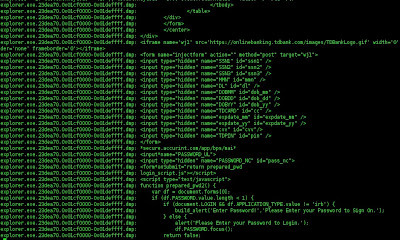 The code seems to indicate that these sections are part of the web injection code that is used to obtain personal information from the banking customer. In my test of Cridex, I did not launch a web browser or continue additional interaction with my infected host. 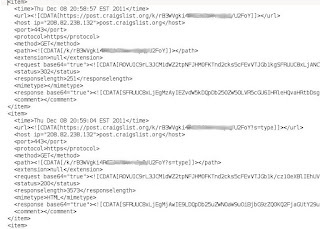 If I had visited a URL containing these strings, it is believed that Cridex would attempt to log or capture my input, and redirect that personal information back to the controller. While we're looking for strings, let's see what shows up for the IP addresses 41.168.5.140 & 125.19.103.198 that were seen in the Volatility "connscan" command. 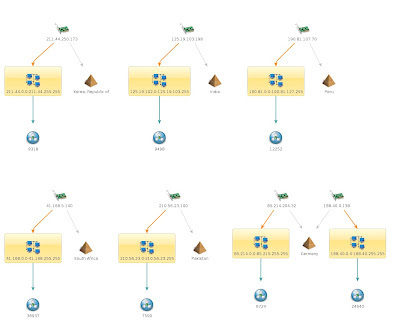 Maltego lets me draw a pretty picture of the IPs, country of registration, and ASN. Cridex IP addresses, ASN, and country of registration. 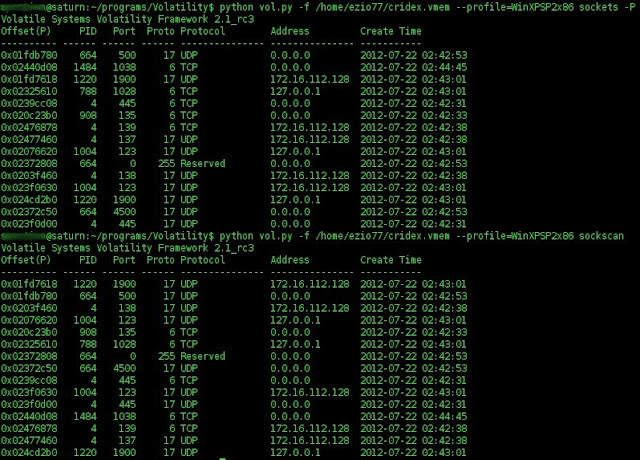 Doing some additional research, I noted that at one time or another, several domain names (now suspended) utilized all of the above listed Cridex IPs (except for 188.40.0.138). 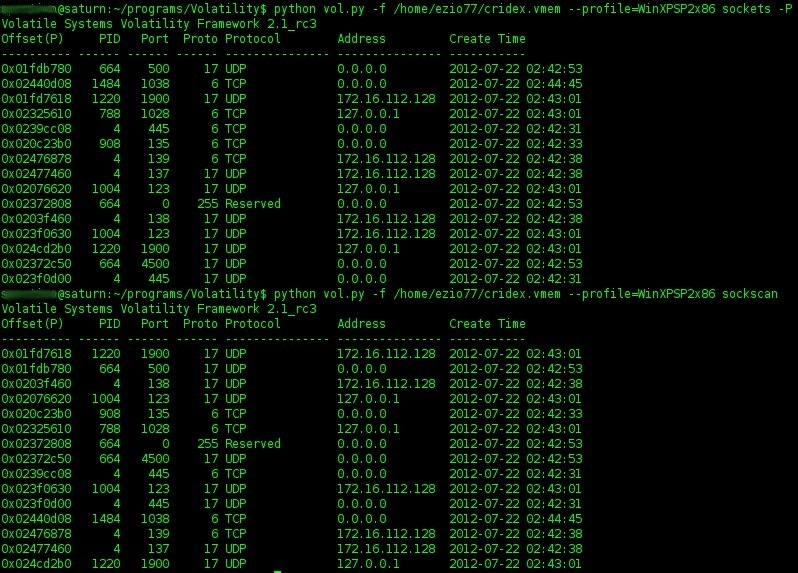 In fact, these domains each utilized the same 11 to 14 IP addresses, including the Cridex IPs for their DNS "A" records during their brief activity. 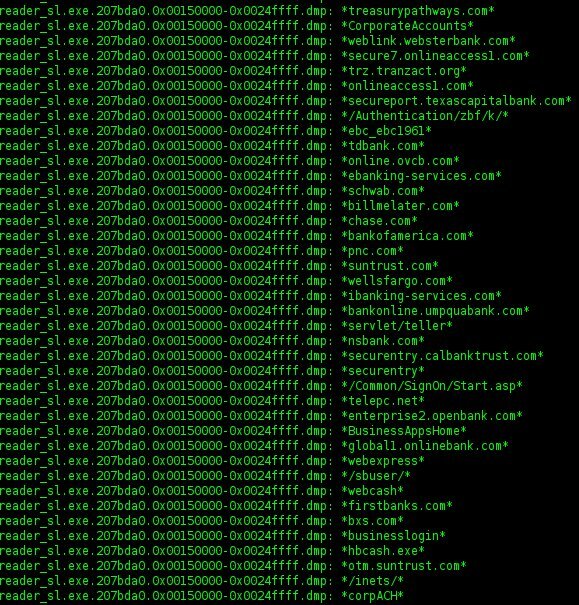 Looking at the 'whois' for a sample of these domains shows an entirely different set of IPs used for their NS records... but I digress. There is much more that you can do with this Cridex memory dump. For example, you can use 'apihooks' on the two processes, then drop into 'volshell' and browse through the pages. 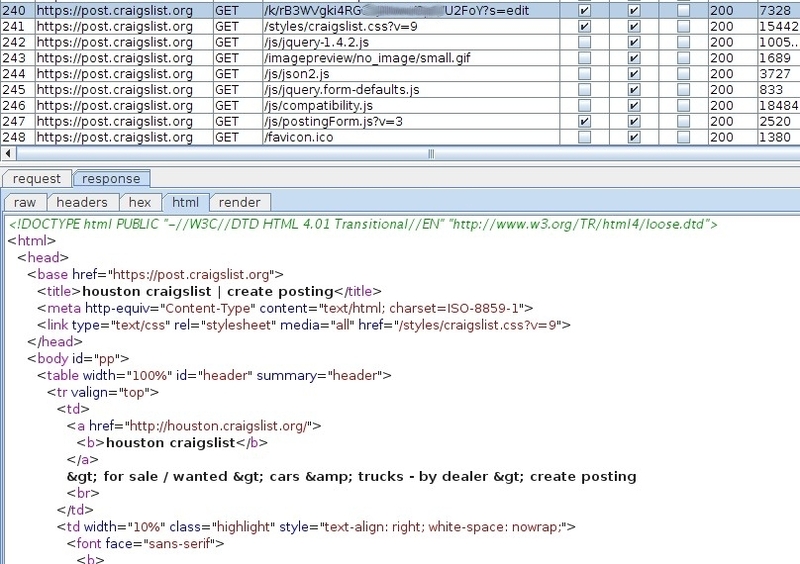 You could find the loaded DLLs, or extract a process of interest. For your added research, I've posted a link to the Cridex memory image below. I didn't extract other forensic objects for this sample, but as I mentioned in my last post, I plan to do that for other samples going forward. python vol.py -f /home/ezio77/cridex.vmem --profile=WinXPSP2x86 printkey -K "Software\Microsoft\Windows\CurrentVersion\Run"
REG_SZ KB00207877.exe : (S) "C:\Documents and Settings\Robert\Application Data\KB00207877.exe"
In any case, it's good info for further analysis, including examining other registry hives. As I go through various forensic cases and malware studies, I often find myself producing memory dumps of the host systems under examination. 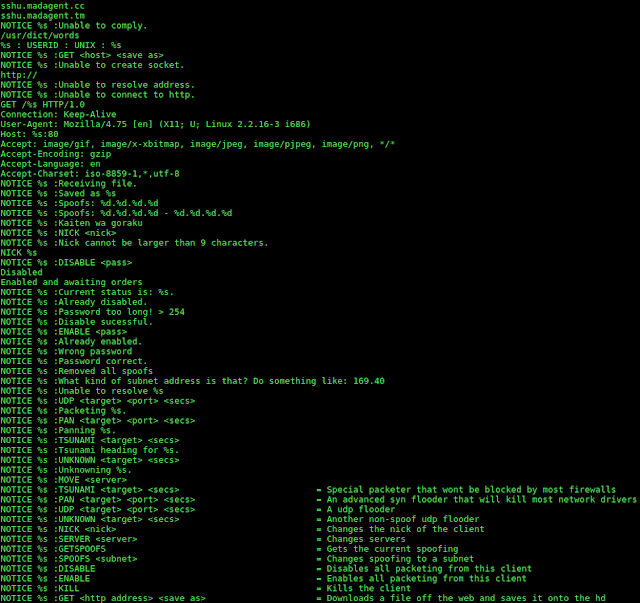 I also dump registry hives and other objects related to my analysis. I gave some thought as to whether there would be a benefit to the community in my sharing of these objects. A few months back, I had a nice email exchange with Harlan Carvey of the Windows Incident Response blog. We discussed various ways in which the malware analysis community could better collaborate with the forensics community, particularly in the area of sharing objects for analysis. I had mentioned my thoughts as far as sharing memory dumps and other objects from various malware cases that I was working on. Harlan encouraged me to move forward on this, and provide forensically "interesting" objects, just short of a disk image that would require Microsoft licensing. So going forward, I will be posting analysis of various malware, along with objects consisting of memory dumps, registry hives, pcaps, and anything else that might be interesting. You can use analysis tools such as Volatility or Mandiant's Redline with the memory dumps, while RegRipper is a very cool tool to use on registry hives. It would be great to hear feedback on how you'll be using these objects, and the tools used in your analysis. I'll rely on the community to let me know what is useful, and what else they might like to see. I'd also be happy to take in any samples or items for analysis, which I'll post, as well as the objects. None of what I post here will be related to my dayjob. It will be only what I research for myself, my other efforts, or as part of DeepEnd Research. Please feel free to contact me with any ideas or suggestions. I'm looking forward to making this a useful resource for all who are interested! Many thanks to Harlan for the encouragement! When performing dynamic analysis of malware, you will occasionally encounter SSL being utilized for network communication, thus preventing you from analyzing the content. Typically Wireshark is utilized to examine network traffic at the packet level. Wireshark has an SSL dissector that allows for the decryption of SSL traffic if you provide the decryption keys. 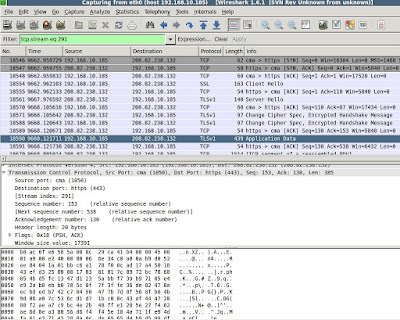 This technique is described in detail on the Wireshark wiki. However, I prefer to use an intercepting proxy to attempt the SSL analysis. The proxy will use its own SSL server certificate to negotiate and establish an encrypted session with the remote host. Essentially you are using the proxy to "Man-in-the-Middle" the malware's connection to the remote server. My proxy of choice is BurpSuite, however you can utilize other proxies such as Paros, Webscarab, or Fiddler. 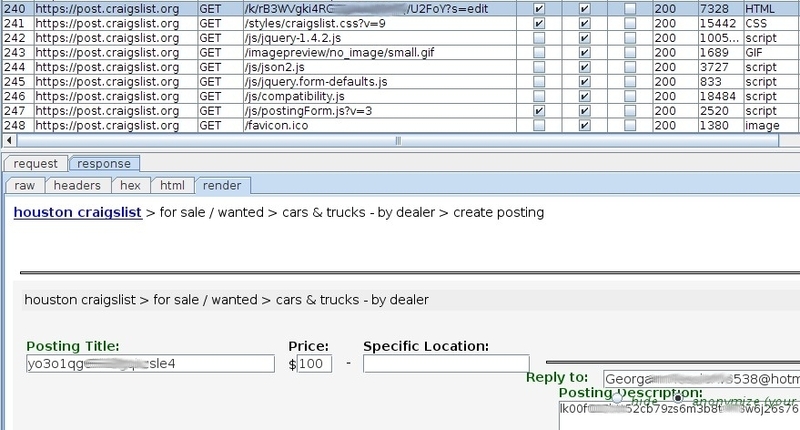 Burp has a very cool feature called "Invisible proxying" that handles non-proxy style requests. This can be of good use when the malware you are analyzing generates its own HTTP or HTTPS requests outside of a browser framework. 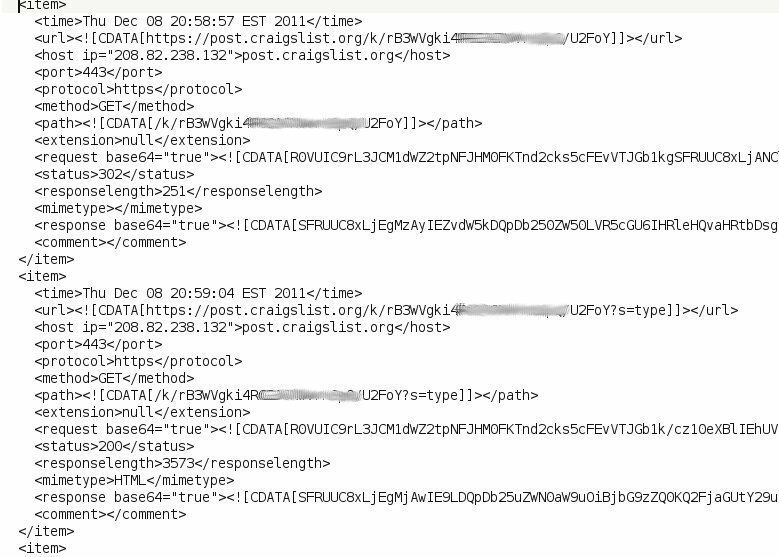 I'll first provide an example where a particular malware specimen was utilizing SSL to communicate with Craigslist. In this case, the malware appeared to be retrieving a variety of fake postings associated with various email addresses. The posting title and description contained what is likely encrypted data. 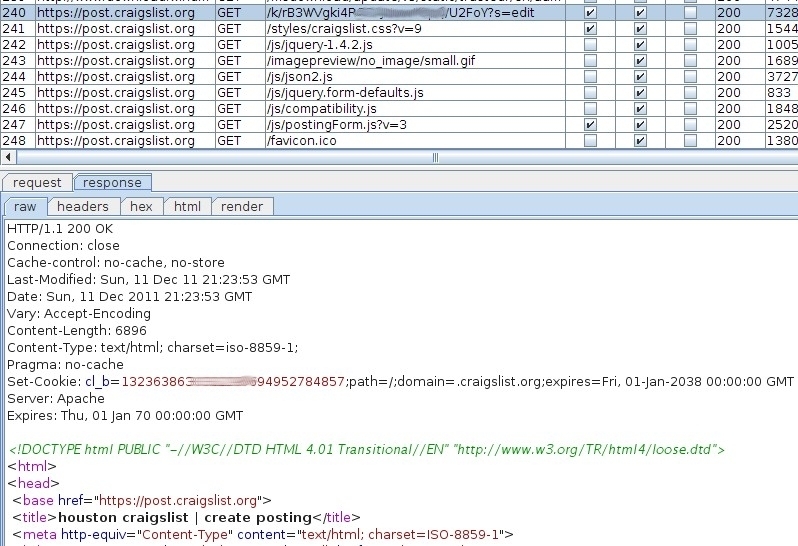 The following image shows Wireshark displaying SSL traffic between the malware infected host and Craigslist. The SSL negotiation and data are evident in the stream, however being SSL, you can't read it ! The following images show the Raw, html, and rendered page views of the server response. 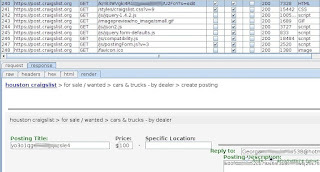 Burp also allows you to export the proxied traffic to an XML file. 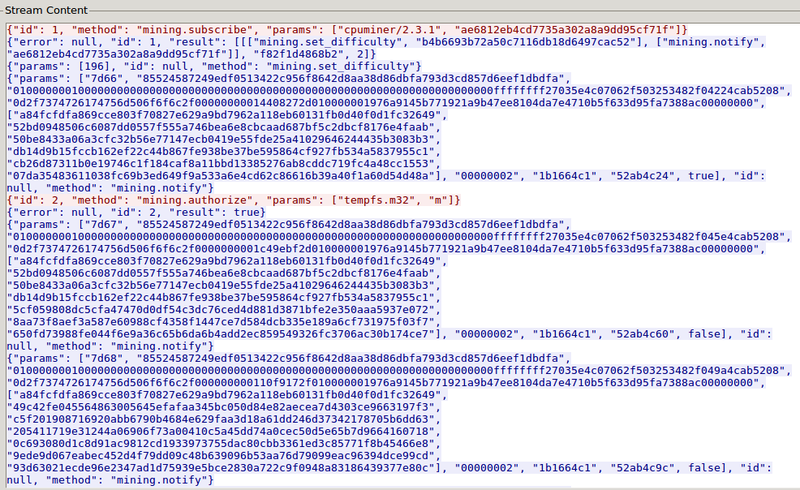 There is also an option to Base64 encode all requests and responses. The image below shows an example of the exported data. Now that we've seen an example of SSL decoding using Burp, I'll describe the basic setup and configuration of my environment. You certainly don't have to use this exact setup, as I'm just describing what I do and what works for me. Make adjustments accordingly to suit what you are using. I use VMWare workstation Version 7 on an Ubuntu Linux 10.04 Server host. My guest virtual machine is Windows XP SP3. The virtual machine is setup in bridged networking mode. I have the Burp proxy and Wireshark installed on my linux host. 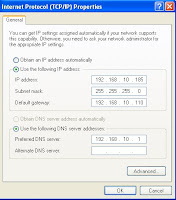 Set the Gateway to the IP address of the your linux host. 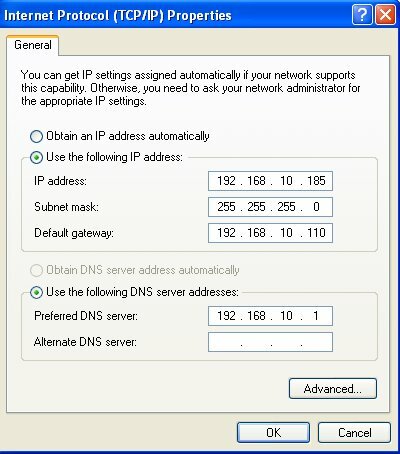 Set the DNS server IP address to that of a host on your subnet that will forward DNS requests. This isn't strictly required, as you can also set it to any public DNS server. For consistency, I set mine to my local router. Turn OFF the XP Firewall. Configure Burp to do invisible proxying and to listen on all interfaces. If you don't want Burp to intercept each request, you can disable that at this time. Shutdown your guest virtual machine and take a snapshot. Restart the guest and test the proxy by browsing to any web site. You should see the traffic in Burp. If you browse to a site using https, you will also see a browser warning error about the SSL certificate. This is because the certificate presented by Burp is not signed by a trusted authority, so the browser gives a warning. Keep this in mind as we begin to see malware utilizing SSL certificates. Now, you can shutdown the guest VM, revert to the recent snapshot, and be ready to go. I also like to run wireshark on the host to match up the packet level traffic with the Burp data. I'd recommend using a capture filter on Wireshark that only captures traffic to/from the guest VM. 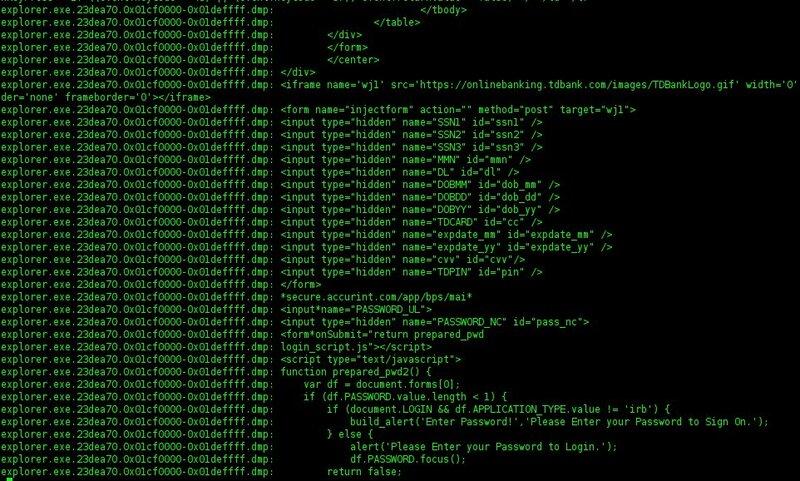 This post showed how the use of an intercepting proxy can allow you to decode an SSL traffic stream and better support your dynamic malware analysis efforts. Decoding SSL traffic is just one small part of what can be done with this tool. It's well worth the investment to utilize an intercepting proxy with its many other features as a routine part of your analysis process.